The Arashiyama Bamboo Grove is one of the 17 UNESCO World Heritage Sites found in Kyoto. It is a nationally designated Historic Site and Place of Scenic Beauty. It is also one of the most photographed sites in Kyoto (besides the Inari Shrine and the Kinkaku-ji Temple). I consider it as the top thing-to-do in Kyoto. You can combine your visit to the Arashiyama Bamboo Grove with the Tenryu-ji Temple (also a World Heritage Site) and the Okochi Sanso Villa, all in walking distance to each other. 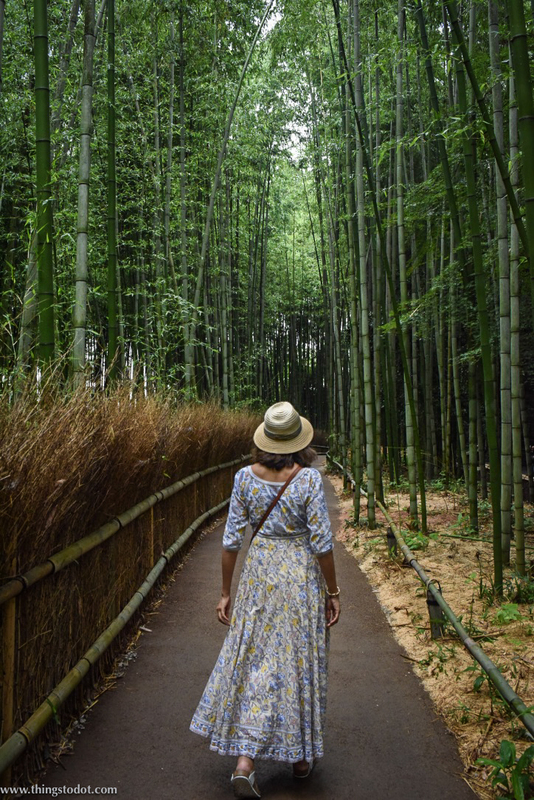 As a travel blogger, it had always been my dream to visit and photograph this magnificent bamboo grove with larger than life bamboo trees. In order to avoid the tourist rush, I decided to go there early with my guide, whom I had hired to show me around Kyoto. It was around 8:30 a.m. in mid-summer and there was hardly anybody when we arrived there. 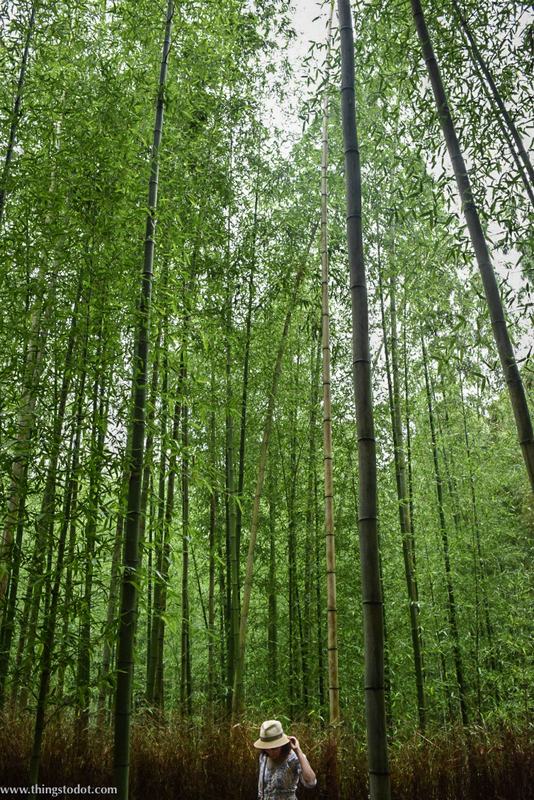 It is hard to put into words what I felt as I entered the bamboo grove. Stately bamboo trees perfectly lined a tapering road on either side. I was reminded of the Japanese word 'sasayaki' which means 'whisper' in English, as I walked in the grove. It felt as though the bamboos were whispering of a love and peace that is really only found in another world. A passage of the bamboo grove is so dark even during daylight hours, that unless you have a very good camera that can shoot on a very high ISO, it is difficult to take pictures there! The Arashiyama Bamboo Grove is a short train ride from Kyoto Station. Take the JR Sagano Line (also known as JR Sanin Line) to Saga-Arashiyama Station. One way ride takes 15 minutes and costs 240 yen. From Saga-Arashiyama Station, it is a 5-10 minute walk to reach the bamboo grove. I bought my ticket at the ticket machine at the Kyoto station. Fortunately, the ticket machines were also in English!